Wanda has over 36 years of experience in environmental project management. Born and raised in Wyoming, Wanda’s background ranges from ranching to a career in the mining industry. She has developed and managed conservation initiatives and strategies designed to balance industrial development and agricultural production with protections for wildlife and important ecosystems. 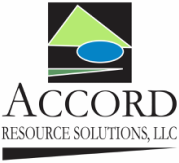 Additional specialties include mineral leasing and permitting; due diligence investigations; air emission inventory, control, and permitting; regulatory and government policy; community relations and sustainable natural resource development. Wanda has held leadership positions in numerous local, regional and national groups comprising a diverse cross-section of stakeholders. These include the Thunder Basin Grassland Prairie Ecosystem Association, Campbell County (WY) Conservation Board of Supervisors, the Northeast Wyoming Local Sage-Grouse Working Group and the Partnership Council for the Cooperative Sagebrush Initiative. Brenda has over 35 years of experience leading soil, vegetation and wetland assessments, and reclamation planning and project management. As sole owner of BKS Environmental Associates, Inc. (BKS) for over 30 years, she excels in the development of cost-effective methods to minimize and mitigate project impacts. Brenda obtained a Bachelor of Science in Range Management (Land Rehabilitation concentration) from Colorado State University, and a Masters and Ph. D in Soil Science from the University of Wyoming (UW). She strongly believes in the importance of educating herself and others in the science and art of reclamation. Brenda has led numerous reclamation workshops and assists the Wyoming Reclamation and Restoration Center at UW in such endeavors. She is an adjunct professor and guest lecturer at UW as well as other academic institutions in Colorado, Nebraska and North Dakota. Brenda is involved with several natural resource issues involving the agricultural and energy industries in Wyoming. She was the recipient of the 2014 Wyoming Women of Influence Award in the Energy and Utilities category. In 2015, Brenda received the Reclamationist of the Year Award from the American Society of Mining and Reclamation (ASMR) and served as 2015-2016 ASMR President.